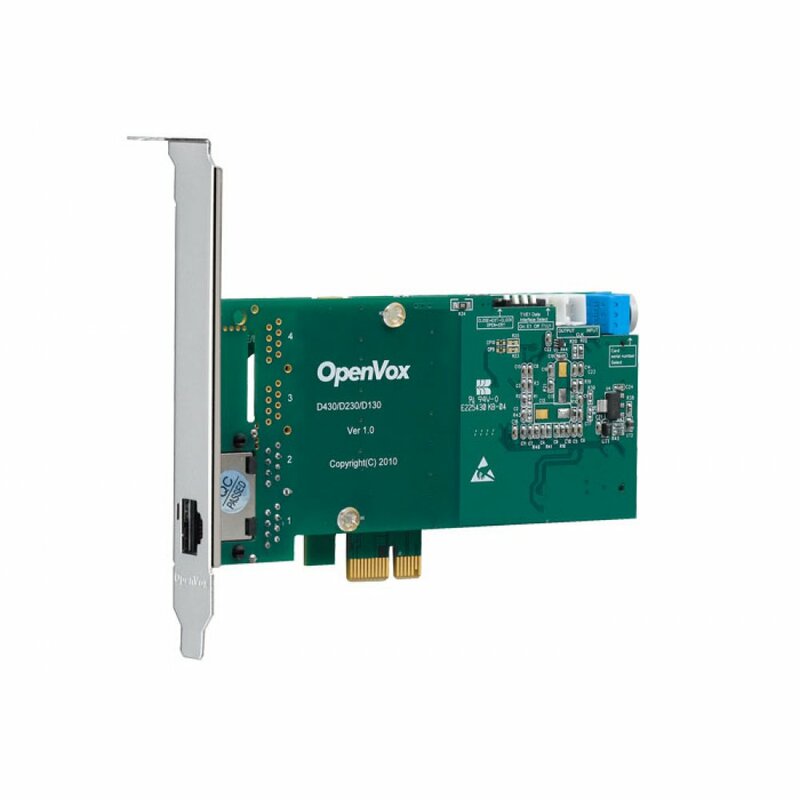 OpenVox D130E is now the leading single port T1/E1/J1 PCI-E card in the open source industry. It supports up to 32 channels in E1 mode or 24 channels in T1/J1 modes. The D130E is an upgrade product of the D115E. It supports T1, E1, and J1 environments and is selectable on a per-card or per-port basis. 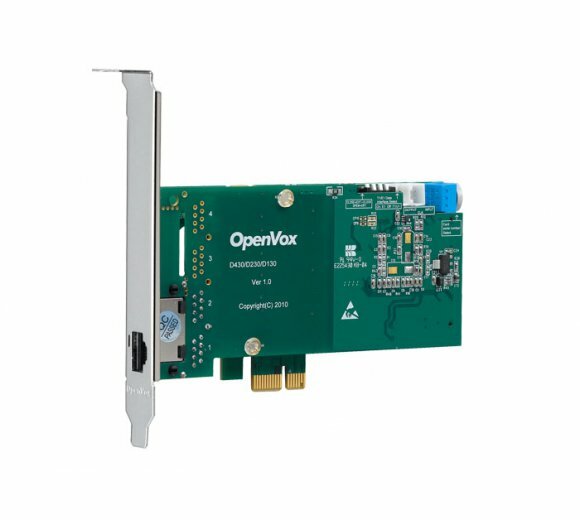 D130E is supposed to be the most advanced single port T1/E1/J1 asterisk® card with superior quality in the open source community. The leading innovation ensures users to adjust the interrupts frequency to reduce the CPU load up to 70% and adjust the interrupt number to avoid interrupt number sharing or conflict. D130E works with Asterisk®, Askozia®, Elastix®, FreeSWITCH®, PBX in a Flash, trixbox®, Yate® and IPPBX/IVR projects as well as other Open Source and proprietary PBX, Switch, IVR, and VoIP gateway applications.